Watches for sale, Jewellery, Jewelery ads in Melbourne. Thank you for visiting our free advertising website Watches for sale, Jewellery, Jewelery, Melbourne section. We provide high response free classifieds and free advertisement. Use our online free Watches for sale, Jewellery, Jewelery classifieds placement system to find, list, offer Watches for sale, Jewellery, Jewelery online! Aus Crystals is known as one of the famous & best crystal shop and wholesalers in Australia who Supplies retail & wholesale crystals, gemstone tree, gemstone jewellery, Pendulums & Healing Wands. We also give special offers and discount weekly. For more info visit us our site or contact us on (03) 8361. There is nothing as beautiful as gifting an alluring diamond to your loved one. Visit the All Diamonds store to check an exclusive range of GIA certified diamonds at wholesale prices. 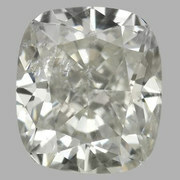 We are leading diamond wholesaler with a vast range of ethically-sourced diamonds in Australia. We also specialise in creating custom made diamond jewellery. Pieces of Eight, located in Melbourne presents contemporary artists made jewellery. 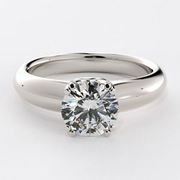 We will work with you on bespoke jewellery such as engagement and wedding rings. To see our full range, visit our gallery at 28 Russel Place, Melbourne or call us today on 0396633641 https://www.piecesofeight.com.au/ Phone:	396633641 Email:	info@piecesofeight. An attractive diamond bracelet adds charm to an everyday ensemble and gives you a classy look. At All Diamonds, we have an exclusive collection of beautiful and affordable diamond bracelet online. 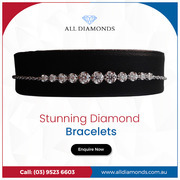 Check out our catalogue: https://www.alldiamonds.com.au/bracelet-bangles.html or call (03) 9523 6603 for any queries. 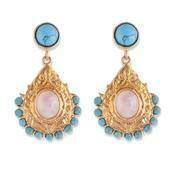 Greek Jewellery has this timeless appeal to it, being a favourite piece of accessory among the fashion-savvy ladies. House of Nicholetta brings you a gorgeous and elegant range of hand-made Greek earrings that will give you a glimpse of rich Mediterranean culture. 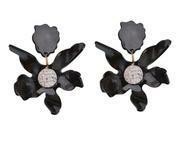 Shop now: https://houseofnicholetta.com.au/collections/greek-earrings. Countdown to Christmas has begun! It’s time to surprise your loved one with a stunning and sparkly diamond ring. 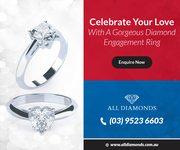 All Diamonds has an extensive collection of wholesale diamond rings in Melbourne. Visit our stores to check out our Christmas special collection. We are taking custom-made orders for ring till Christmas. An elegant pair of drop earrings gives you a chic and feminine charm. 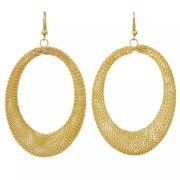 At House of Nicholetta brings you an impressive collection of alluring and chic drop earrings. Set the mood for the day by wearing it with your gorgeous party dress. 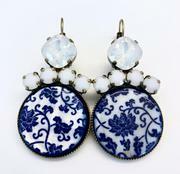 Browse through our store and check out beautiful drop earrings online: https://houseofnicholetta. Is your search for that rare and exquisite three diamond engagement ring? At Goldenet, you can find the very precious and artistic three stone wedding and engagement rings that is handset by our team of master craftsmen. From three stone princess diamond ring to pear ones, the list has every design you need. A wedding is the most beautiful union of two people in love! Celebrate your love with impressive and sleek diamond wedding bands. 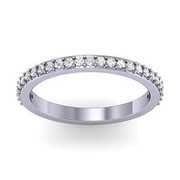 All Diamonds has an extensive and gorgeous range of diamond wedding bands in Melbourne available at highly competitive prices. 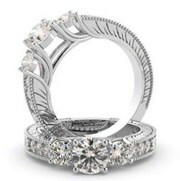 Enquire now: https://www.alldiamonds.com.au/diamond-wedding-bands-melbourne or call (03) 9523 6603 for any queries. 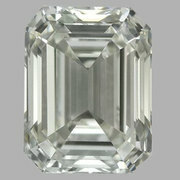 Looking for the perfect cushion cut diamonds to match your ring today? Enquire now at All Diamonds. First, select the cushion cut diamond that puts a big smile on your face. Then find the engagement ring setting that makes you want to dance. Go modern with our simple cushion cut solitaire setting or surround your cushion cut diamond with a halo of diamonds. Turn heads in a party with the elegant evening bags and clutches from the House of Nicholetta. 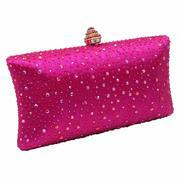 We have a beautiful collection of stylish and practical evening bags that are perfect for a party or date night. Buy evening bags online:https://houseofnicholetta.com.au/collections/evening-bags. GoldeNet Australia is the leading online retailer of certified diamonds and fine jewellery in Australia. Choose from a wide range of classic ring designs and customise your own precious metals from the traditional 14K White Gold to the beautiful 14K Rose Gold. if you’re looking for a classic wedding. GoldeNet Australia is the leading online retailer of certified diamonds and fine jewellery in Australia. Choose from a wide range of classic ring designs and customise your own precious metals from the traditional 14K White Gold to the beautiful 14K Rose Gold. if you’re looking for a classic wedding band and need further expert advice in making your selection, contact GoldeNet Australia on 1300 361 873. Portobello Camberwell offers an exquisite range of bold, beautiful, precious and semi-precious jewellery in Australia that you have been longing for. Fulfill your heart’s desire today by purchasing a precious gemstone from us..
Goldenet is the world's leading diamond jeweler online for engagement and wedding rings. They offer supreme value, quality and selection of certified diamond engagement rings, allowing you to buy diamonds with confidence and peace of mind. If you want to connect with us visit https://www.goldenet.com. Find your favourite accessories and stud earrings online from House of Nicholetta. Update your wardrobe for the new season! Shop our gorgeous stud designs like classic, modern, stylish, ear studs, hoop earrings and more from our collection at https://houseofnicholetta.com.au/collections/stud-earrings. 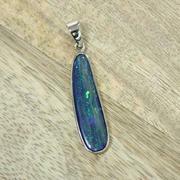 Searching For Leading Jewellery Store in Nicholls? At All Diamonds, we take pride in offering first class service alongside the finest diamond selection and timepieces available. We are one of the leading Jewellery stores in Nicholls, sparkling, responsibly made diamonds and more. We ensure our collection will bring you joy now through forever. Come and see how we've earned the reputation. Want to customise and design your own dream jewellery? 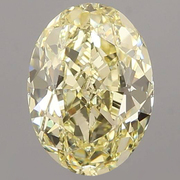 No one does it better than Goldenet- the trusted and certified diamond online store in Australia. Experienced over a decade now, we have perfect diamond mark to celebrate and treasure every special moment. From stunning diamond engagement rings to precious stud earrings, we have got you covered with 30 days money back guarantee. Having a wall cross in every home is a beautiful Catholic tradition. Hang a cross on the wall of any room where your family gathers, as well as in every bedroom, as a visual reminder of God's love. 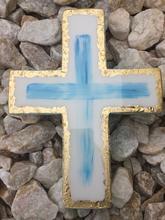 In our cross home decor collection at House Of Nicholetta, we feature a range of hand crafted resin crosses for you to buy. Discover a stunning range of engagement diamond rings in Melbourne with peerlessly beautiful diamonds. All Diamonds is one of the premier sources for your diamond rings needs in Melbourne. 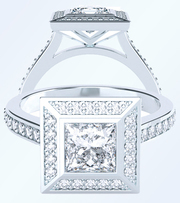 Our exceptional collection of engagement rings includes both modern and traditional styles. Visit https://www.alldiamonds. This season will have you jumping through hoops, figuratively of course. The most significant fashion accessory trend of 2018 is one that we are personally obsessed with—and if you didn’t figure it out already, we are talking about hoop earrings. 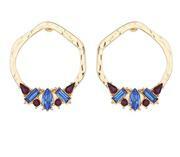 Buy the perfect pair of hoop earrings online at best price from House of Nicholetta. Add a splash of boho chic to your wardrobe without overspending. House of Nicholetta is one of the best curator of budget-friendly bohemian Jewellery and fashion accessories online in Australia. 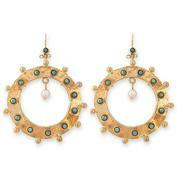 Start your day with our Bianc statement earrings that are crafted with 24k gold plated brass with semi-precious stones. Browsing online to buy the unique and best engagement rings in Melbourne? Goldenet has the beautiful and most wanted collection of engagement and wedding rings. And when we say most wanted, we mean the stylish, trending and trusted diamond rings –emerald cut, princess cut, cushion cut or yellow gold engagement rings. Ixtlan Melbourne jewellery store is excited to offer you the opportunity to redesign, or create from new, any piece of jewellery you desire. We will provide a no-obligation, complimentary quote to make or remake any piece of jewellery.Our expert team at our jewellery shop will be happy to help you with custom made purchases in the store. Whether you're shopping for unique earrings or a piece of jewellery that will last a lifetime, House of Nicholetta carries the most stunning pieces of Jewellery sourced locally and internationally. We offer unique and stylish jewellery pieces, gifts, accessories, fashion and eventually homewares that provides a vibrant and eclectic touch to your character. If you are really looking for a diamond which must have both flash and fire in a square cut, then radiant cut diamonds can be the best choice. 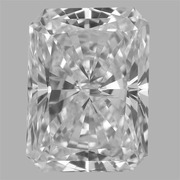 A radiant cut diamond has 70 facets, making them one of the most faceted diamond shapes available.Whether mounted in a solitaire engagement ring or set in a wedding band, a radiant cut has exceptional sparkle and fire. The stud earrings are the most versatile earrings you can own. Play around with lightweight studs on a daily basis or go big with our contemporary pieces for a special occasion. Get that perfect pair of studs earring designs online that you're looking for at House of Nicholetta. We provide timeless fashion inspiration, jewellery and lifestyle products in Brighton East. Australia free ads for Watches for sale, Jewellery, Jewelery, Melbourne, Watches for sale, Jewellery, Jewelery free ads Melbourne, Watches for sale, Jewellery, Jewelery for sale Melbourne, Watches for sale, Jewellery, Jewelery to buy in Melbourne. Find on this page free classifieds for Watches for sale, Jewellery, Jewelery in Melbourne. This listing includes classifieds for sale and to buy in Melbourne. FREEADSAustralia Melbourne offers you a platform to post free advertisements or classifieds for Watches for sale, Jewellery, Jewelery in Melbourne. FREEADSAustralia helps you search, find buy, sell, rent or hire in various categories like apartments, goods for sale, local services, cars , jobs and many more in Melbourne. If you posted an advertisement in category Watches for sale, Jewellery, Jewelery of FREEADSAustralia Melbourne before please use Edit my ads button to change or cancel your ad. Watches for sale, Jewellery, Jewelery Melbourne ads Melbourne, Watches for sale, Jewellery, Jewelery classifieds Melbourne, Watches for sale, Jewellery, Jewelery free ads Melbourne, ads for sale Melbourne, ads to buy Melbourne, FREEADSAustralia. Find here ads for sale, to buy and rent in Melbourne. Goods for sale in Melbourne, vehicles for sale in Melbourne, Melbourne real estate for sale, Melbourne property for sale, property for rent in Melbourne, business ads in Melbourne, Melbourne business classifieds, services in Melbourne, Melbourne services ads, jobs in Melbourne, pets for sale in Melbourne, Melbourne dating, Melbourne cars for sale.